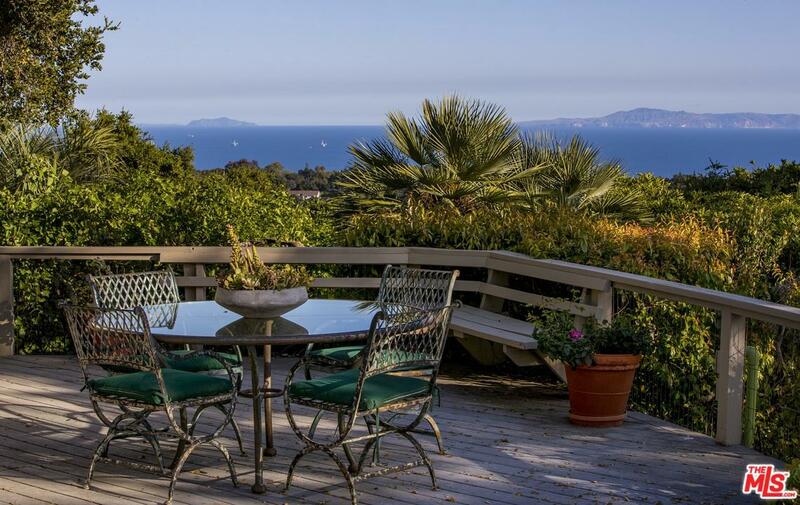 If you are seeking a serene setting with stunning sweeping ocean views minutes from town, this understated yet graceful 1930's California style home is sale priced for the holidays. 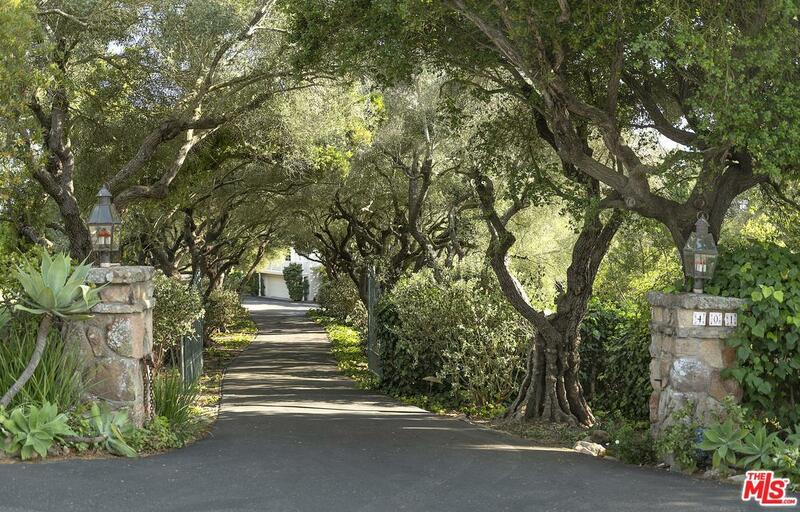 Brimming with potential, this best ocean view estate site, approached by a drive lined with stately olive trees, offers a 4000 sq. ft*. single level main house and 4 accessory structures with an additional 1975 sq. ft.*. Every room captures light. 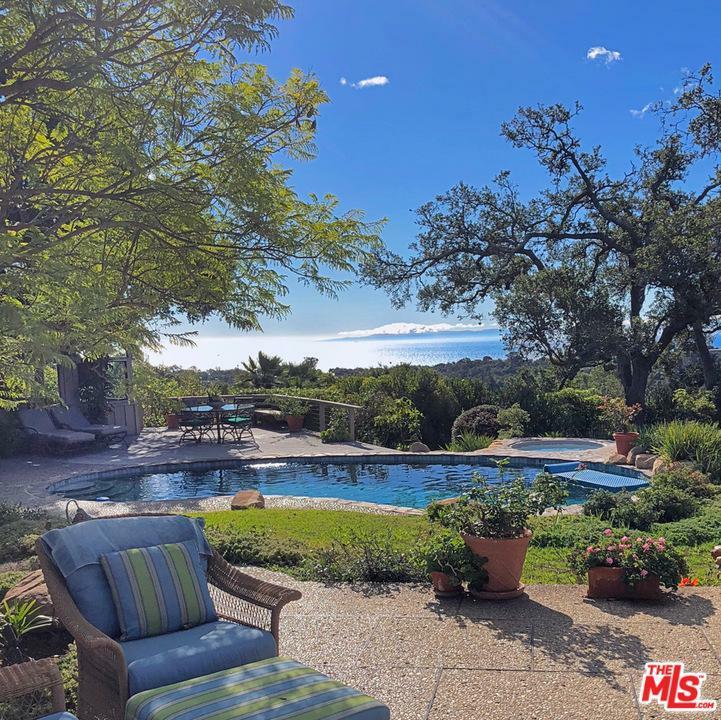 Relax viewing the depth and breadth of the blue ocean views from Point Mugu to the Gaviota Coast. Dramatic beamed living room. Classic high ceilinged family room overlooking the pool and views. Three en suite bedrooms plus studio with bath, pool house with bath and changing rooms and two garages. A slice of heaven. This property is ideally located in the heart of the biking and hiking mecca and near parks and town. 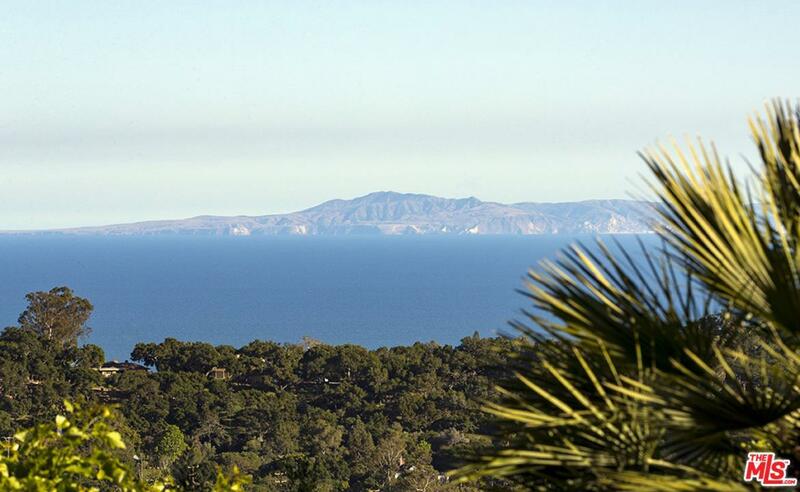 Sold by Colleen Beall BRE#01201456 of Compass.